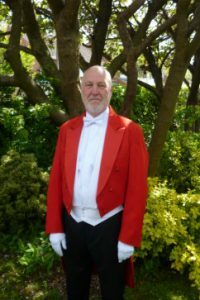 Trevor is a professional Toastmaster and a member of the Northern Guild of Toastmasters. As a retired Company Director Trevor has many years of experience in organising and running functions. Giving you the confidence that your special day runs smoothly. With Trevor’s warm and friendly personality and approachable style you will be able to relax and enjoy every moment. Trevor will also be able to advise you on all aspects of etiquette and be with you throughout your special day.